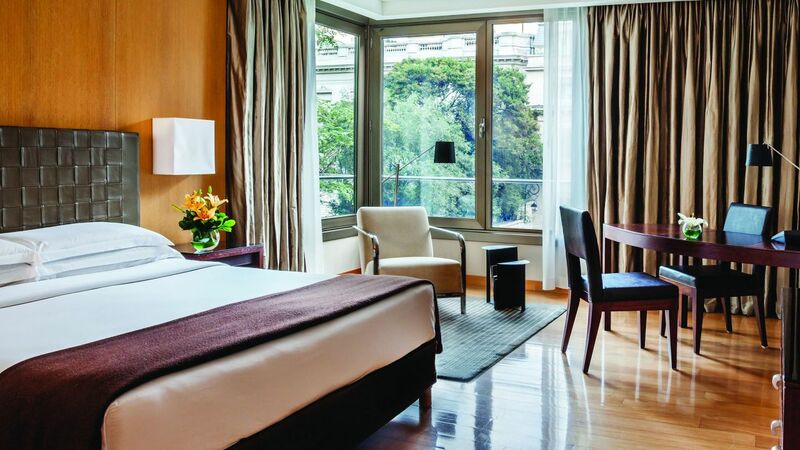 Palacio Duhau - Park Hyatt Buenos Aires owns the splendor of Argentine hospitality. 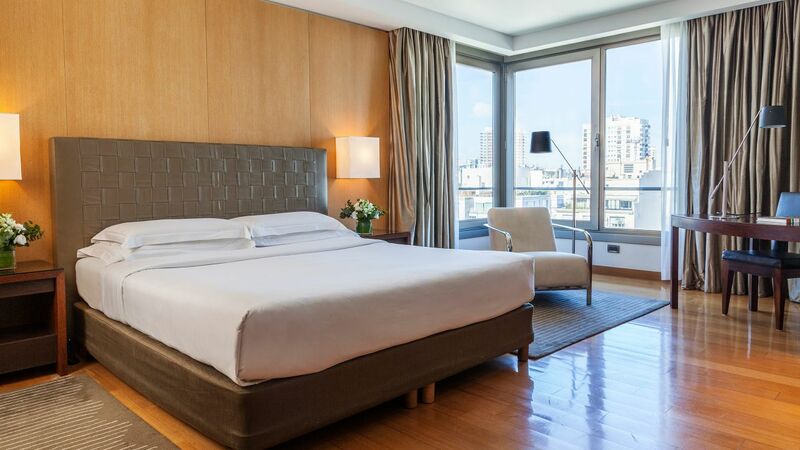 Begin your Buenos Aires adventure by choosing among the modern 165 rooms and suites of the best accommodation in Buenos Aires. 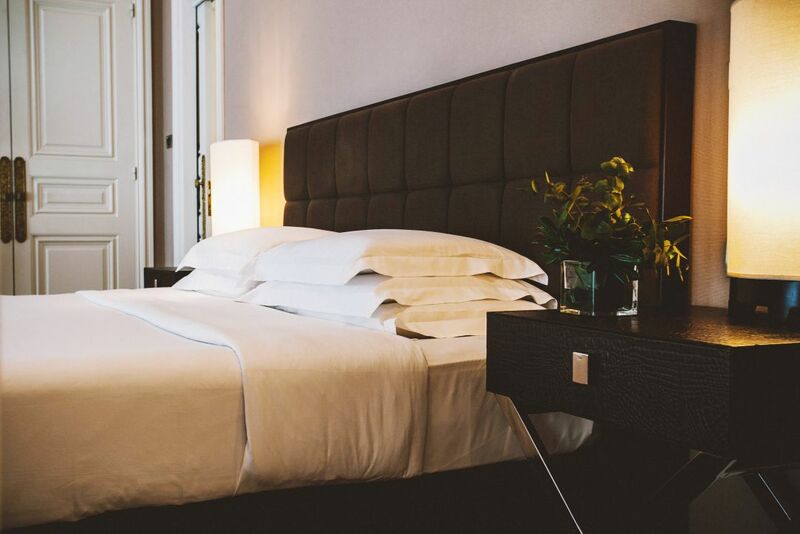 The experience in the Palace offers 23 suites located in the iconic residence that still retains the essence of the Belle Époque and plays harmoniously with contemporary design. Be dazzled with an unparalleled architectural tour while enjoying a personalized service. Every pampering amenity, from butler service to wireless Internet access, is yours in a spacious 33-40-sq.-metre room with plush king bed, oversized work desk and majestic bath with bidet area, tub and rain shower. Modern decor adds to elegant extras including Celedonio Lohidoy-designed spa products, 30-inch flat-screen TV, bathrobes and street views. 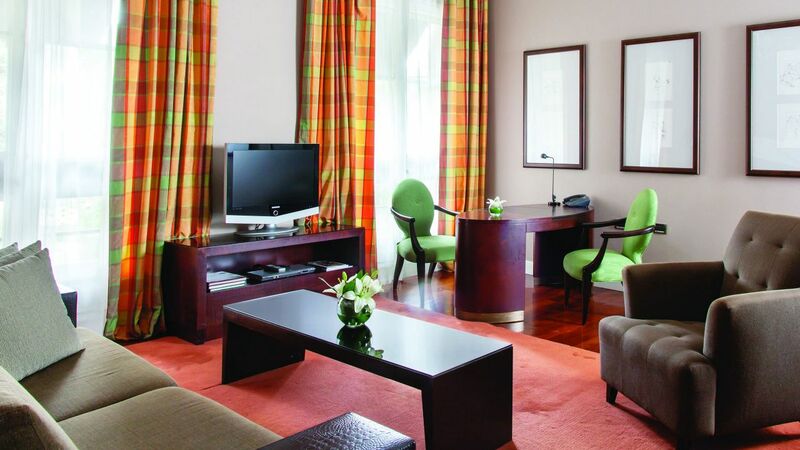 Spacious 40-55-sq.-metre room offers panoramic views of lush gardens, magnificent Palace or traditional street views. 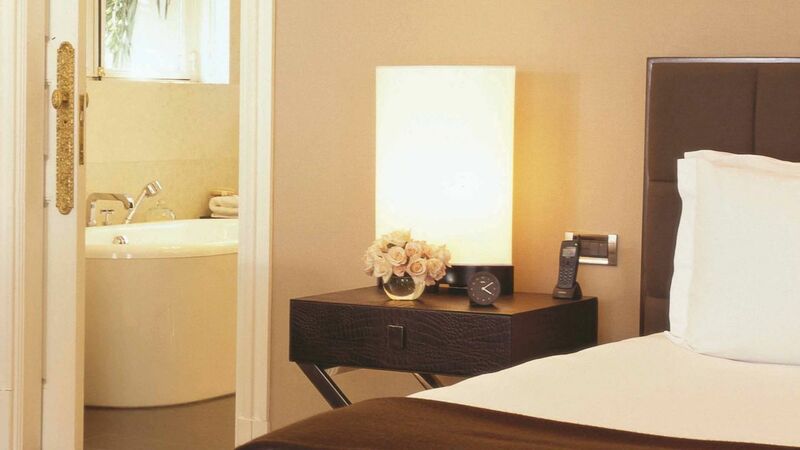 Contemporary decor blends with the hotel's belle epoque glamour and complements a plush king bed, oversized work desk and deluxe bath with bidet area, tub and rain shower. 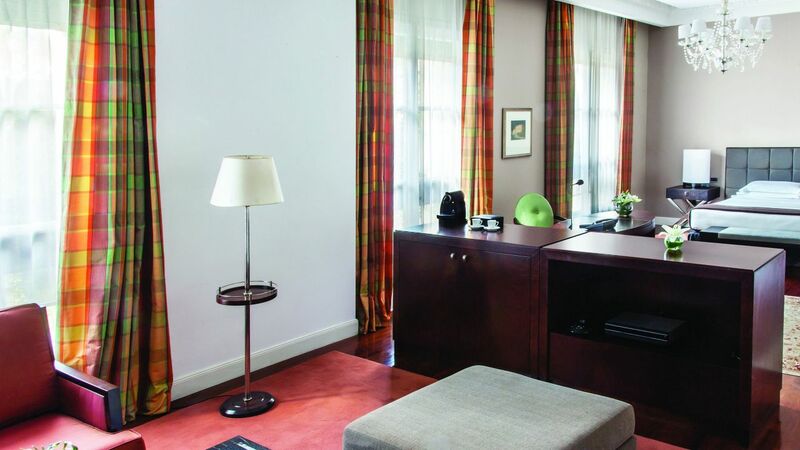 Pampering amenities include butler service, in-room coffee and wireless Internet access. 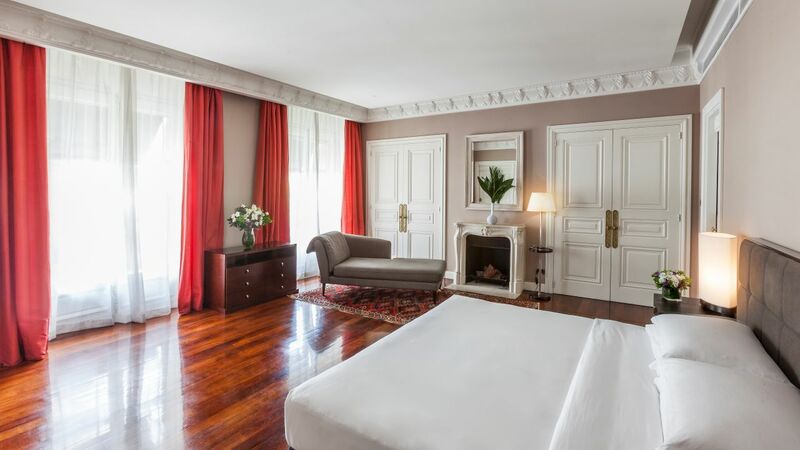 The Park Deluxe Twin room delights you with its large windows over viewing the magnificent garden, the Palace or the traditional Alvear Avenue. 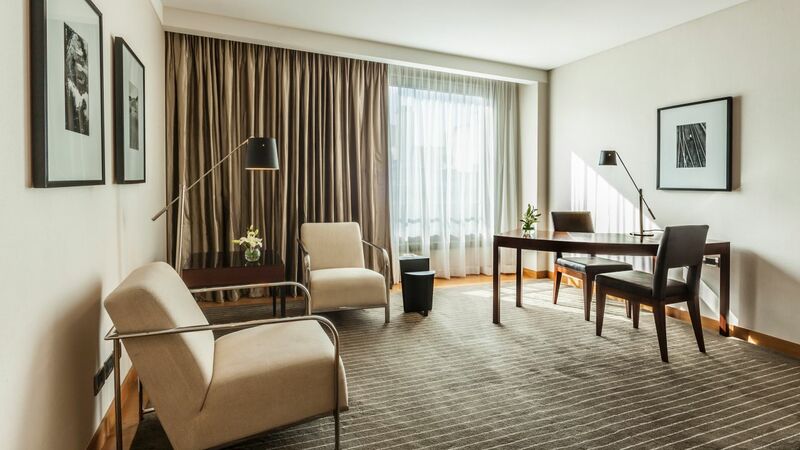 Located in both buildings, these contemporary designed rooms vary from 40 to 55 square meters and include twin sized beds, with spacious working desk illuminated by natural light. 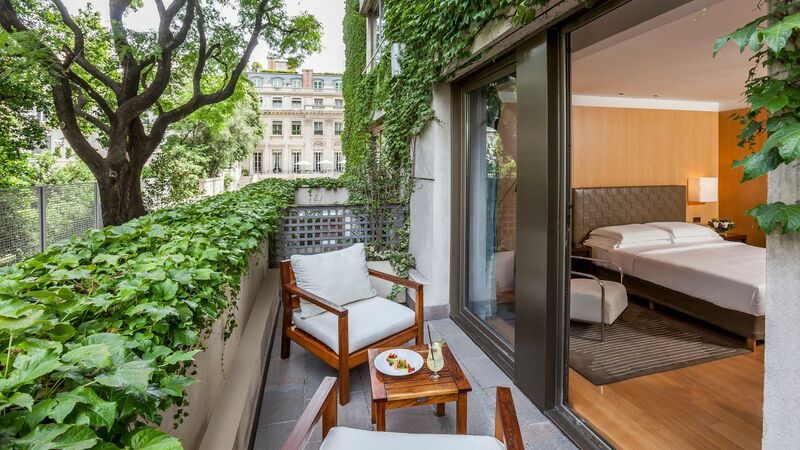 The Park Deluxe Balcony room delights you with its large windows over viewing the Apostolic Nunciature gardens, the street or the river. 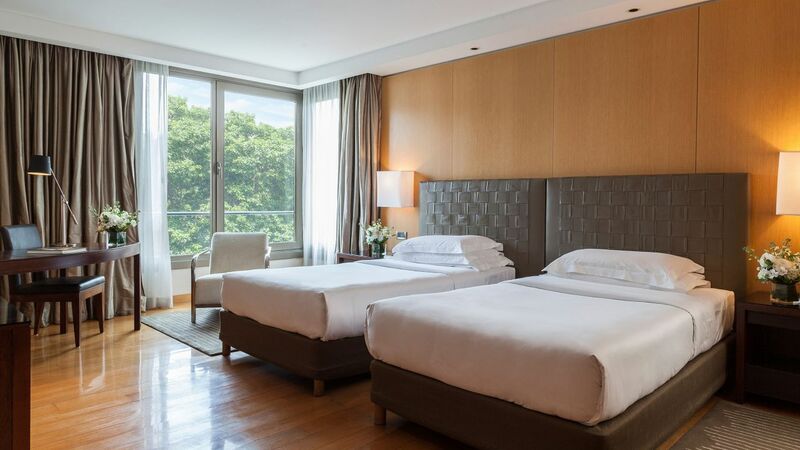 Located in Posadas Building, these contemporary designed rooms vary from 40 to 55 square meters and include king sized beds, with spacious working desk illuminated by natural light. Flat screen LCD television - Samsung 32"
A 61-sq.-metre suite features a king bedroom with adjacent deluxe bath featuring double vanity, bidet area, tub and rain shower, and a spacious living room with working desk area. Contemporary decor and street views add to luxurious amenities such as butler service, flat-screen TV, Celedonio Lohidoy-designed spa products and wireless Internet access. This is a standard suite. See World of Hyatt program terms for upgrade eligibility. 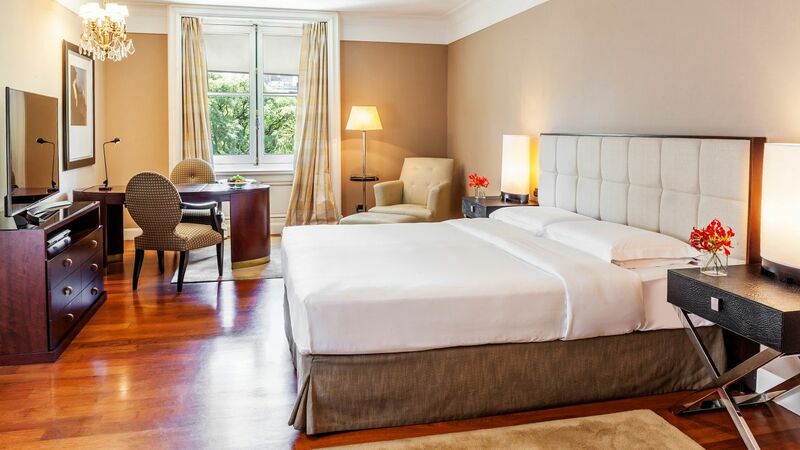 Luxurious 59-72-sq.-metre suite features seamless integration of modern amenities and classic belle epoque glamour, with modern decor complementing a plush king bed, spacious sitting and work areas, and deluxe bath with bidet area, tub and rain shower. 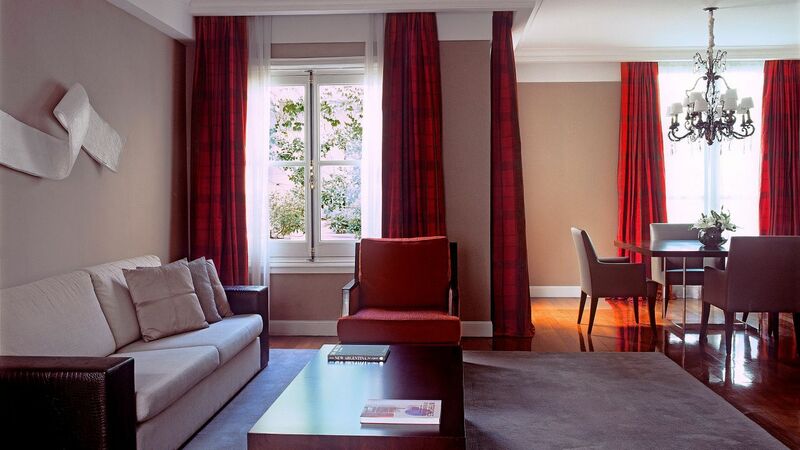 Elegant extras include butler service, in-room coffee, wireless Internet access and street, garden or palace views. This is a standard suite. See World of Hyatt program terms for upgrade eligibility. Entertain in luxury with a 75-82-sq.-metre suite featuring a king bedroom with adjacent bath offering bidet area, tub and rain shower, plus a living room, work area and guest toilet. Contemporary decor and panoramic garden or street views add to pampering amenities such as butler service, flat-screen TV, Celedonio Lohidoy-designed spa products, wireless Internet access and available balcony. This is a standard suite. See World of Hyatt program terms for upgrade eligibility. 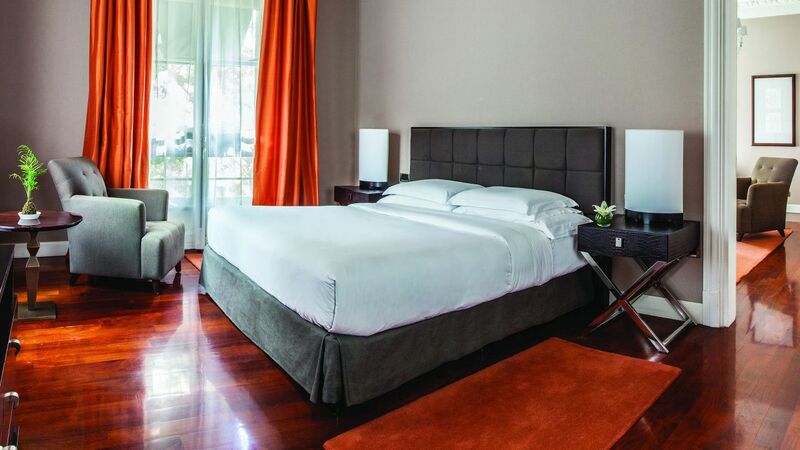 A luxurious 91-95-sq.-metre suite with living room, work area, guest bath and king bedroom with connecting bath offering bidet area, tub and rain shower. 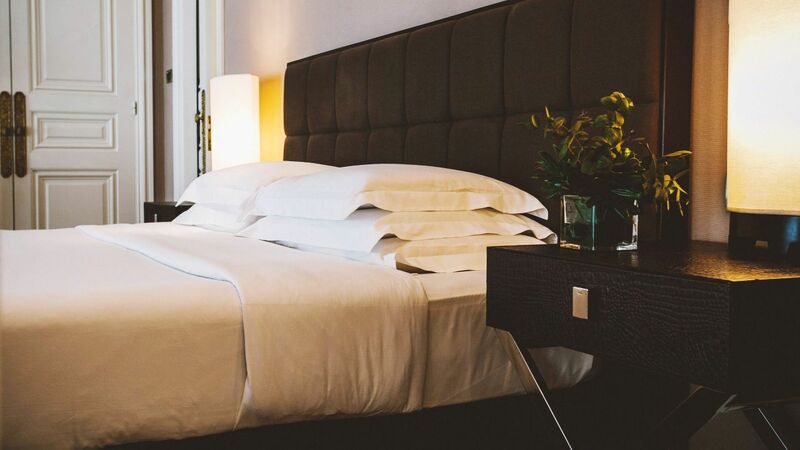 Pampering amenities include butler and turndown service, and state-of-the-art amenities, such as flat-screen TV and wireless Internet access, complement the suite's modern decor. This is a premium suite. See World of Hyatt program terms for upgrade eligibility. 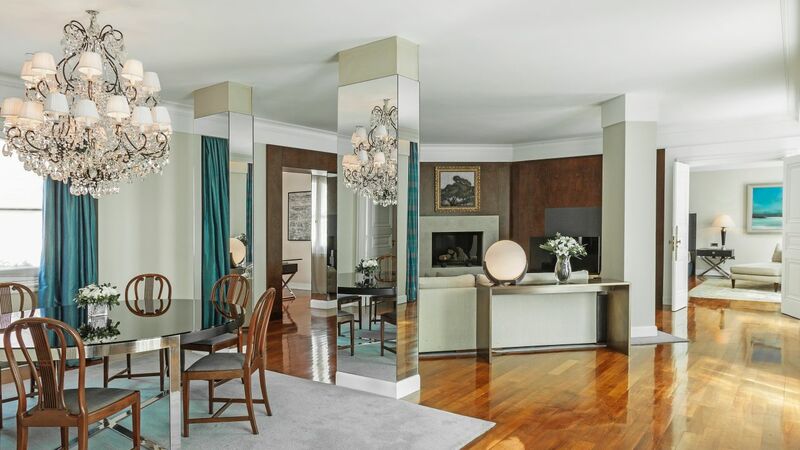 An astonishing 103-sq.-metre top-floor suite features Persian carpets, silk curtains and crystal chandeliers that complement living and dining areas, study and king bedroom with connecting bath offering luxurious spa products, bidet area, tub and rain shower. Enjoy views from two private terraces, and bask in amenities such as butler service and wireless Internet. This is a premium suite. See World of Hyatt program terms for upgrade eligibility. Located on the second floor of the Palace building, this 120-sq.-metre suite is perfect for entertaining, offering spacious living and dining areas, study, kitchenette and king bedroom featuring adjacent bath with bidet area, tub and rain shower. 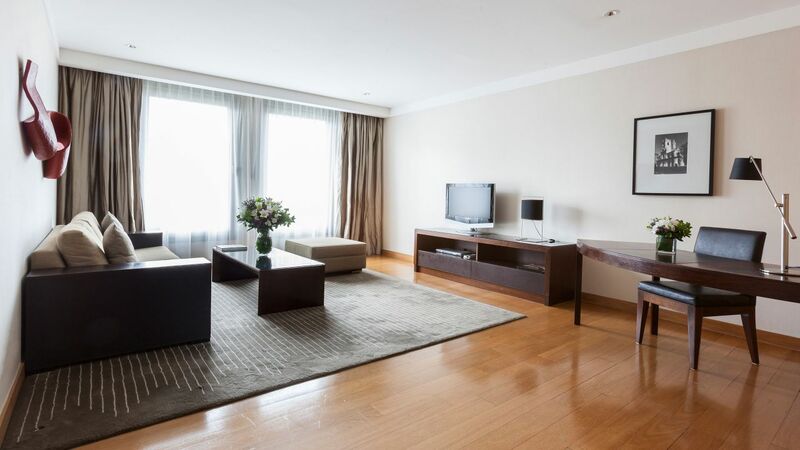 Expansive windows offer panoramic Alvear Avenue views, complementing rich decor and luxurious amenities such as butler service and wireless Internet. This is a premium suite. See World of Hyatt program terms for upgrade eligibility. On the top floor of the Palace, the ultimate luxury awaits, offering 160 sq. metres of elegant living space, including dining and sitting areas, private pantry and a master bedroom with king bed and connecting bath featuring bidet area, tub and rain shower. Enjoy 360-degree views from a wrap-around terrace, modern decor and pampering amenities such as butler service and wireless Internet access. This is a premium suite. See World of Hyatt program terms for upgrade eligibility.